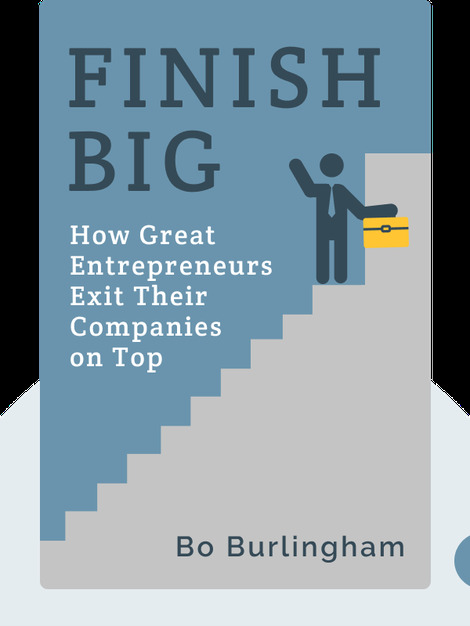 Finish Big (2014) is a guide for how to exit an organization in a way that's healthy and positive for both a business owner and the company. Leaders often overlook this aspect of their career, mistakenly thinking that leaving will be simple, when instead it requires long-term planning to truly finish in a way that benefits everyone. 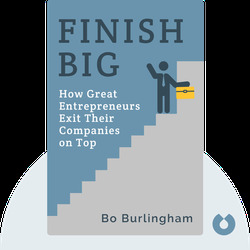 Bo Burlingham is a successful author and the editor of Inc. magazine. He's written several other books, including Small Giants, Street Smarts and The Great Game of Business.